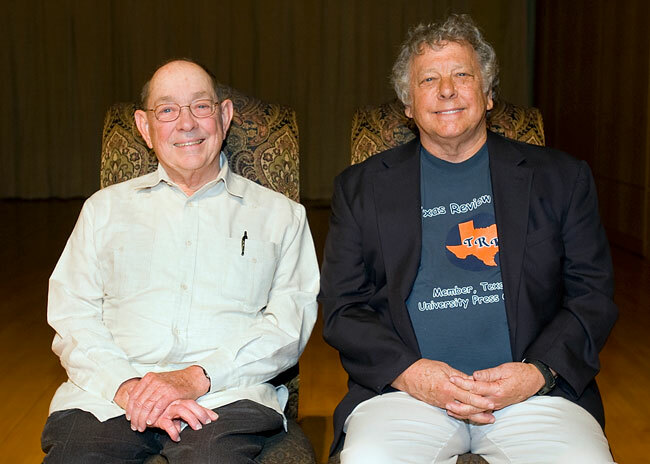 More than 50 university employees were recognized for their years of dedicated service to SHSU during the annual Faculty/Staff Convocation yesterday (Sept. 2) in the Performing Arts Center Concert Hall. 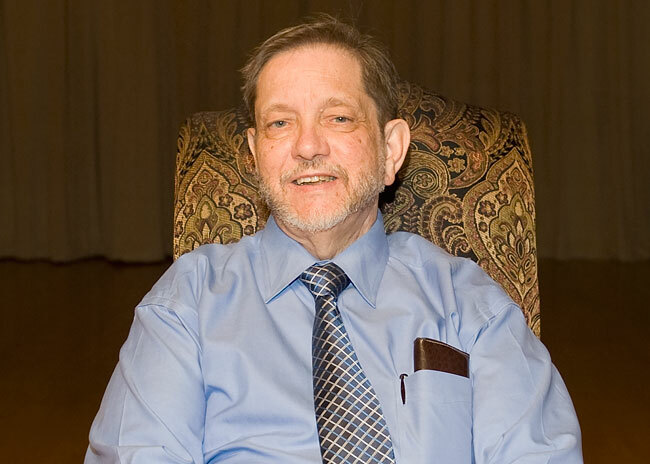 With 45 years of service: Robert Shadle, associate professor of history. 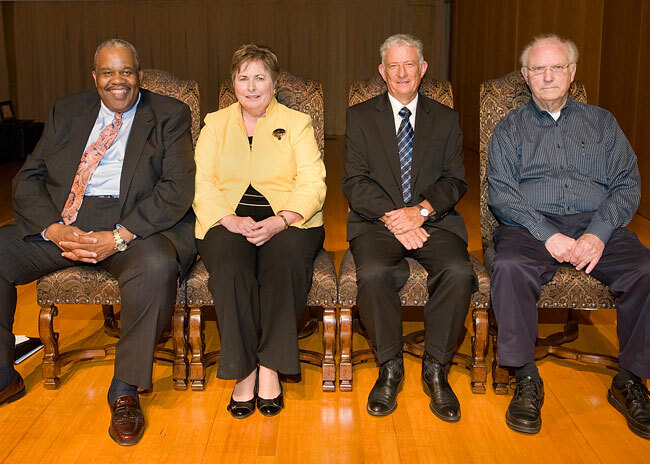 With 40 years of service (front row, from left): Leroy Ashorn,	associate dean of the College of Business Administration and professor of finance; Maureen McIntyre,	professor of theatre; Jerry Bruce,	associate dean of the College Humanities and Social Sciences and professor of psychology; (back row, from left) Stanley Kordinak,	professor of psychology; Glen Kercher,	professor of criminal justice; and James Deshaw,	professor of biology. With 35 years of service (from left): Emmette Jackson, professor of photography; Paul Ruffin, distinguished professor of English. 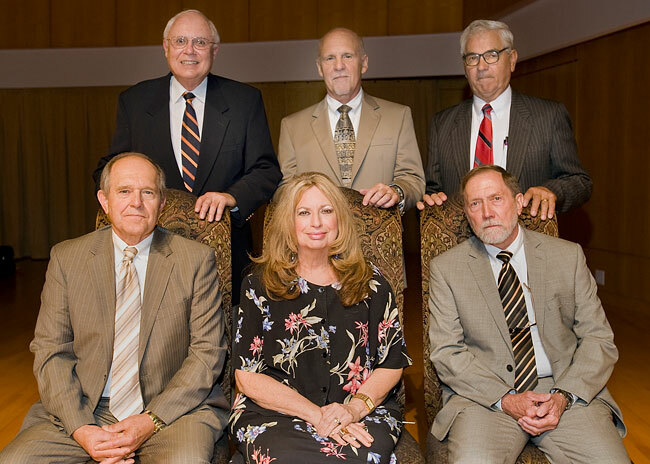 With 30 years of service (from left): Frank Parker, vice president for Student Services; Ann Holder, director of the Newton Gresham Library; Keith Jenkins, associate professor of business administration; and Joe Kirk, professor of mathematics. 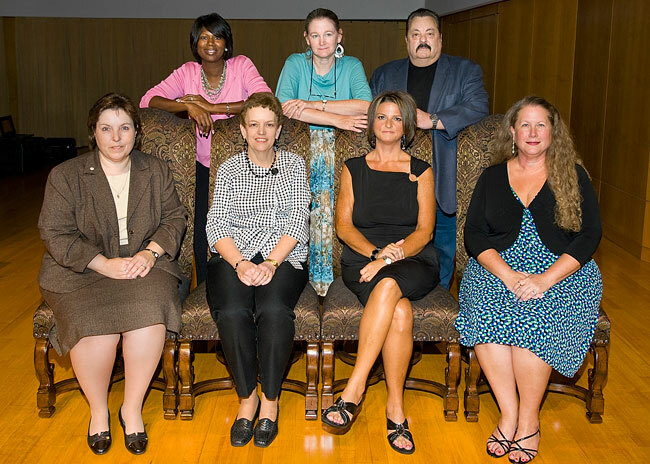 With 25 years of service (front row, from left): Karyl Horn, Payroll; Shelly Smith, Accounts Payable; Teresa Ringo, Registrar; Denise Henry, Residence Life; (back row, from left) Debra McCall, College of Criminal Justice Dean's Office; Kristina Hanssen, professor of theatre; and Jack Turner, professor of biology. 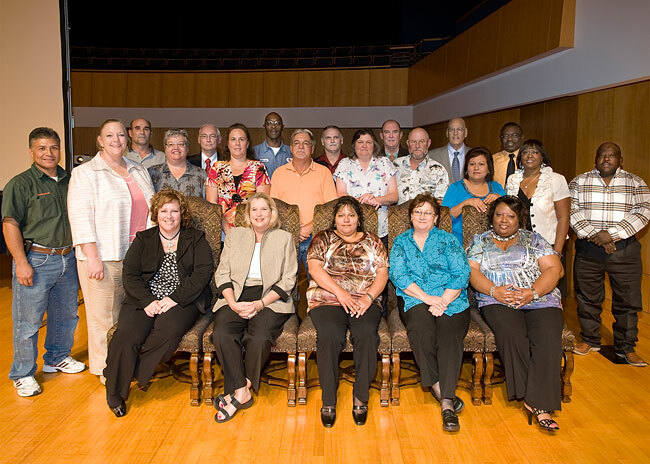 With 20 years of service as a staff member (first row, from left): Trina Strange, Distance Learning; Debbie Birdwell, Office of the Vice President for Finance and Operations; Marcela Castillo, Custodial Services; Molly Currie, Controller's Office; Angel Lamb, Human Resources; (middle row, from left) Javier Zamudio, Residence Life; Lori Rose, biology; Melanie Walton, Newton Gresham Library; Debra Holl, Bursar's Office; James Harding, Physical Plant; Elaine Lewis, Physical Plant; Tim Tyler, Sam Houston Press; Catalina Huizar, Custodial Services; Gail Wright, Correspondence; Ray Smith, agriculture; (back row, from left) Robert Summers, Physical Plant; Doug Greening, Physical Plant; Ernst Wilson, Physical Plant; James Gregory, Jr., Custodial Services; Jack Nichols, Physical Plant; Jim Gibson, Student Legal Services; and Doug Wright, Financial Aid. 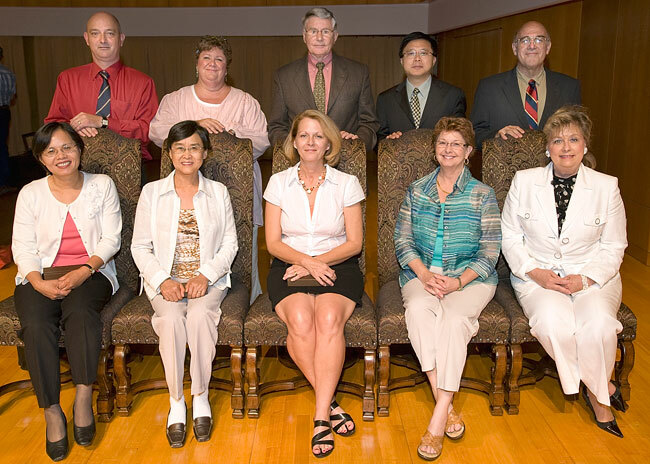 With 20 years of service as a faculty member (front row, from left): Fergen Deng, professor of sociology; Jiahuang Ji, associate professor of computer science; Tracy	Bilsing,	associate professor of English;	Mary Robbins, professor of reading; Beverly Irby,	associate dean of the College of Education and professor of education; (back row, from left) Jurg Gerber,	professor of criminal justice; Teri Lesesne,	professor of library science; Leonard Breen,	associate professor of education; Gan Liang,	professor of physics; and Nick Pappas,	professor of history. 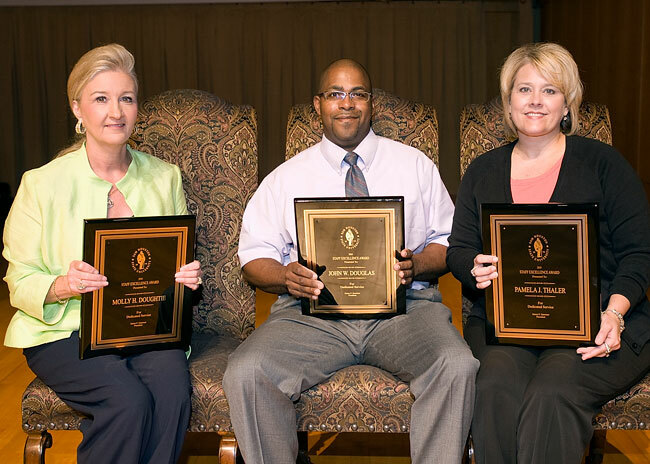 2010 Staff Excellence Award recipients include: Molly Doughtie, John Douglas and Pam Thaler. Not pictured is Janie Joyce.